A mass grave of over 20 victims of the ISIS terrorist group was discovered in Eastern Deir Ezzur. AhlulBayt News Agency (ABNA): A mass grave of over 20 victims of the ISIS terrorist group was discovered in Eastern Deir Ezzur. 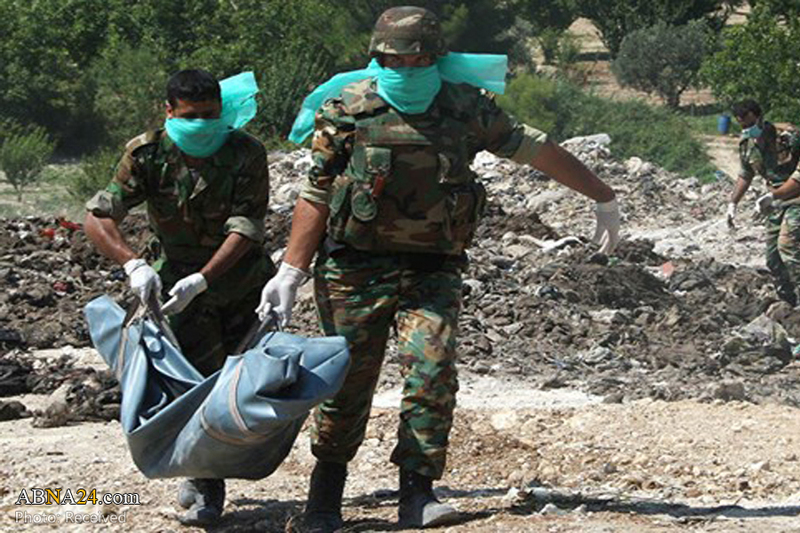 Field sources in Eastern Deir Ezzur reported on Thursday that the Syrian army has found the mass grave in the Southeastern parts of the town of al-Mayadeen in Eastern Deir Ezzur. They added that corpses of 23 civilians, including a number of women, were found from the mass grave, noting that they had been executed by the ISIS when the town was under the terrorist group's occupation. Corpses of civilians killed by the ISIS or the US airstrikes are found in the two Eastern provinces of Raqqa and Deir Ezzur nearly on a daily basis. Media reports said last week that the dead bodies of over 60 victims killed in US-led coalition airstrikes and ISIS attacks had been discovered under the rubble and mass-graves in Raqqa. Media activists in Raqqa reported that the civil teams in the city found the corpses of 13 people from a mass-grave in al-Fakhikheh region in Southern Raqqa and 4 others from the debris of al-Ta'aminat district who had been killed in the US airstrikes. They added that the corpses of 48 other civilians, including several women and children, were discovered from the mass-grave and rubbles in al-Fakhikheh districts.